Sandvik Osprey Ltd has become a major supplier of powders to the MIM industry. 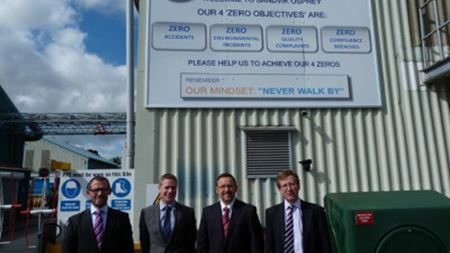 Joseph Capus reports on a visit to the company's facilities in Wales. Joseph Capus catches up with Dr W. Brian James at the EURO PM2015 Congress. Liz Nickels spoke to Gerry Boyce, managing director of the UK's Haydale Composites. Titanium PM was discussed in several sessions during POWDERMET 2015 in San Diego. Gopal S. Upadhyaya looks back at the history of the world's major PM associations.